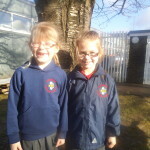 At Bordon Infants we value school uniform as we believe it helps children feel a sense of belonging and pride in their school. A bag to put all the above items in. Reversible jackets with a fleece lining are also available at the office at £16.25.